This post will be talking about HBO’s Game of Thrones, but I’m pretty sure this won’t be spoilery. Unless you want to try come up with your own way to pronounce the names in the books. There are so many names. After He Read that Huge Genealogy Book, Ned’s Head Felt Like it was Going to Fall Off. I usually talk about the television show Game of Thrones, rather than the A Song of Ice and Fire series that it’s based on. I think I do that because I’d like to engage with the Unsullied show watchers who are experiencing the story as presented by HBO. I try not to be a smug book reader, but it’s hard. Today, I will not hold back my smugness. But fear not. I’m not going to aim my smug focus on the innocent show watchers. I’ll be hitting on the book readers. Specifically those who had read the books before the television series aired. And who had developed their own particular and peculiar way to pronounce the characters names. I can’t pretend to be the authority on how the names should be pronounced, so I’ll stick my neck out and say how I heard the names in my head when reading the books way back when. But I think I’m close to how they should be pronounced. Say Her Name Wrong, and She’ll Say Your Name as Part of her List. 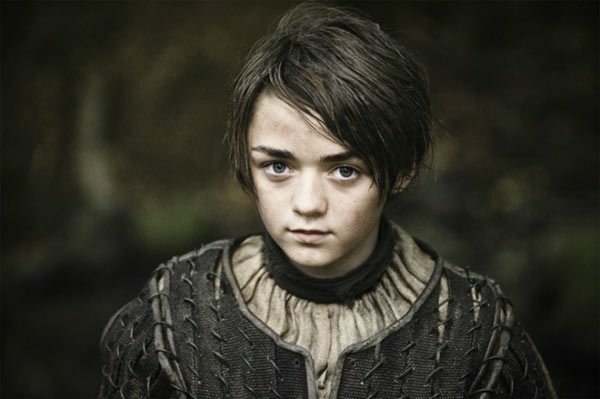 Arya Stark. Arya. A-R-Y-A. It can’t be that hard to pronounce. I mean, it’s only four letters. Three, really, not counting the duplicate A. But that damn Y seems to throw people off. I guess I’d write it phonetically as ARR-ee-uh. But I occasionally do occasionally pronounce it like “Arr-Ya” as in “Are Ya going to Scarborough Faire?” or some other punny way. But that’s all in the same ball-park. I’ve heard far weirder. One coworker insists on saying her name like “uh-RYE-uh.” What? Madness, I know. My dad has them beat. He calls her “AY-ra.” I am not kidding. I must be joking. There can’t be some other way to say “Bran.” It’s like bran-flakes or something. 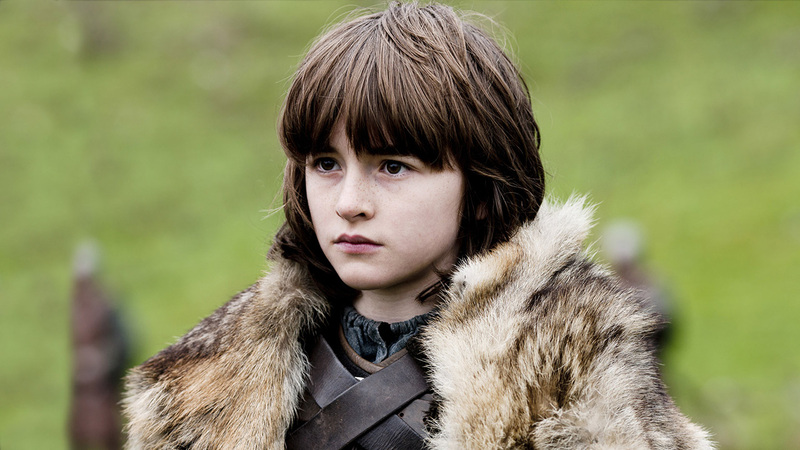 Bran, rhymes like man, tan, or can. Right? There’s a podcast I listen to where one of the long-time book readers clings to his pronunciation of “Brawn.” It seems like a more snootier way of saying it, but it’s probably as natural as pronouncing Sansa Stark as “SAHN-sa” instead of “SAN-sa.” I have no opinion on the correct way to pronounce her name. I’m not even sure how I do it, internally. Except now, it totally conflicts with this guy’s name. Pay Me Enough, and You Say Me Name Any Ways You Like. 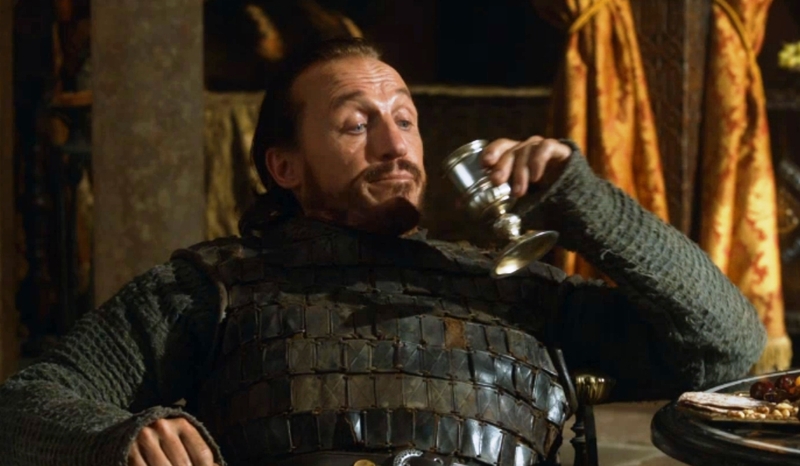 Bronn is an outstanding character. Why poach in on his name? It’s Perfectly Simple. Properly Address Me as “Lady Stark” and We’ll Get Along Famously. Okay, no one pronounces her name that weirdly, but I think most book-readers originally pronounced it with a long initial A, Kate-Lynn instead of how the show does it, Kat-Lynn. I only bring this up because I’ve been told that since Lady Stark’s nickname is “Cat”, it should be obvious how her full name is pronounced. My wife’s name is Lisa. That’s her actual name, not a nickname, but the name Lisa happens to also be short for Elizabeth. The name Elizabeth can be shortened in many other ways: Beth, Bess, Bessie, Betty, Bette, Bettie, Bettina, Liz, Liza, Eliza, etc. So I’m not sold on the Cat obviousness argument. Thank the Seven the show pronounces his name like “Peter.” I’ve heard all kinds of other variations: Pay-ter, Pie-ter, Pet-ter. I’m surprised that I don’t know anyone that calls him Pewter. Thankfully, he has enough other identifiers that can be used. 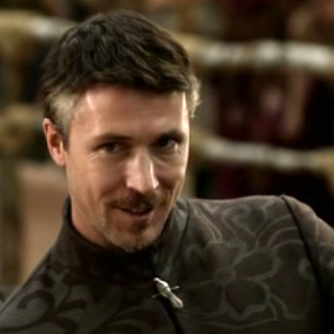 Baelish (which I’ve never heard anyone not pronounce as “Bay-lish”), Littlefinger, or Huggy Bear. Do I have to explain that reference? Seriously? 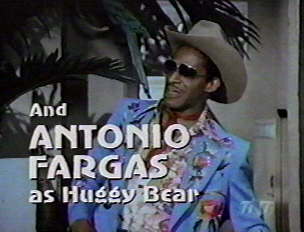 No one remembers Huggy Bear from the original Starsky & Hutch? Fine. Very Well, Call Me “Half-Man” If You Must. Or my dad who internalized it as TIE-ron. TIE-ron? 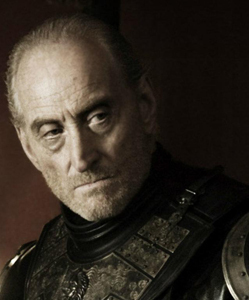 In my dad’s defense, he sometimes gets Tyrion and Tywin confused when he’s reading. This keeps me on my toes when I’m talking about the show with my father. The television show does the exact same thing with one of the great houses of Westeros. Look, we’re now in 2015, and we’re finally using the same calendar as the next season of television show. I wanted to celebrate something that the show-watchers have that the book-readers didn’t necessarily have. The unity and fellowship of having (usually) a standard frame of reference for people’s names. Book readers can be smug about a lot of things: they can claim the books are better, they can critique the adaptation, they can go on and on about backstories (and feast descriptions) but their personalized ways of saying the names is an element that really doesn’t hold that much weight. Pronouncing maesters as “MY-sters” or Daenerys as “Day-Uh-Near-Us” just makes them look odd, not just by show watchers but by other book-readers who are on board with the show’s way of saying names. 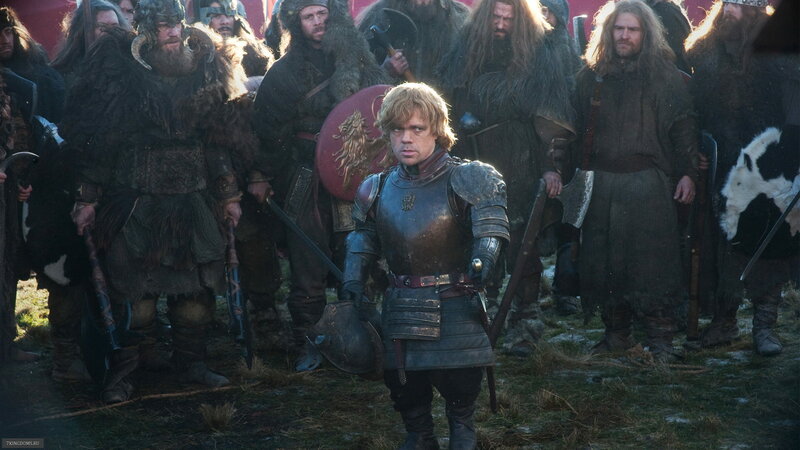 I was kind of taken by the idea that this particular element of book-knowledge not being that significant, and I wanted to start off my weekly 2015 Game of Thrones articles (I’m going to write one-a-week, until the show starts up again, just like I did last year) with that particular observation. Huzzah for the Unsullied Book Readers! Okay, I really wanted to bust on my dad for saying “Ay-ra” and “Tie-ron.” I admit it. And I posted this after the Christmas Holidays, because I’m a skunk and didn’t want him to withhold loot. Hey, anyone care to admit to novel ways they were pronouncing names before learning how the show did it? I’d love to hear them. This is a safe place. Yes. A Very, Very Safe Place. There’s a town in central PA called Tyrone just like the proper pronunciation of the halfman. Right on! Thanks for the info. I’ll edit the article and put in the phonetics of how my boss pronounces it. Thanks for the feedback, and I appreciate you reading my post. I think GRRM says that it’s pronounced are-ya? I think you’re right. GRRM actually pronounces some of the names differently from the show (like Tommen being TOH-men), which is also cool and weird. Arya and Asha are very common Indian names so I was secretly glad to see them but was wondering how others would pronounce it. But then Asha was replaced in the series with another name. 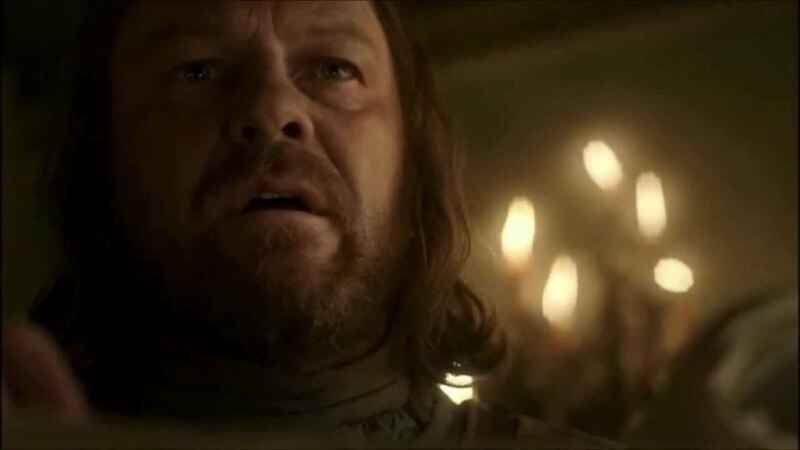 I admit to pronouncing maester as maister instead of master. I had a confusion about Petyr but my friends corrected me early on. I was sad that Asha was renamed Yara. I mean, Yara’s an okay name, but I loved the sound of Asha. Maester is pronounced May-ster on the show (I think), I remember pronouncing is My-ster because of the Italian word Maestro. Best regards, and thank you again for commenting, it’s much appreciated. I’ve seen similar comments, how GRRM just takes a common English name and just drops or adjusts a letter. That scamp! I started with the show then listened to the audiobooks. Pronunciations were the same in the first 3 books, then a new narrator for book 4 got it all wrong/different & I became a smug audiobook listener. What I’m saying is that the show went with the original book narrator’s pronunciations, which (I assume) were cleared with GRRM. Susan (everyone, this is the famous Susan of the Geek Girl Soup podcast!) I am dying to know what weird pronunciations the last audiobook narrator went with! It’s one of those strange things how people in the show pronounce the same name differently in so many cases. 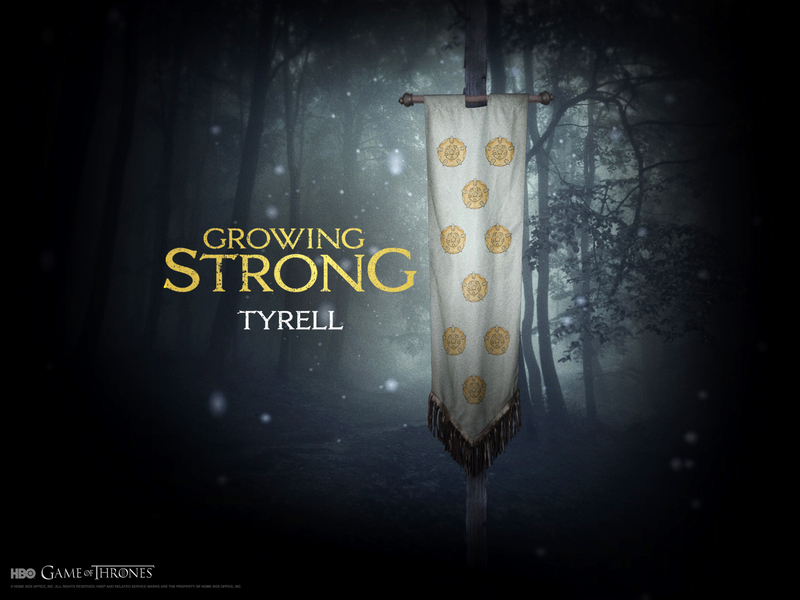 Weirdly gives the world of Westeros more depth. I agree! It’s better that they have regional variations. Great hearing from you, Denise! 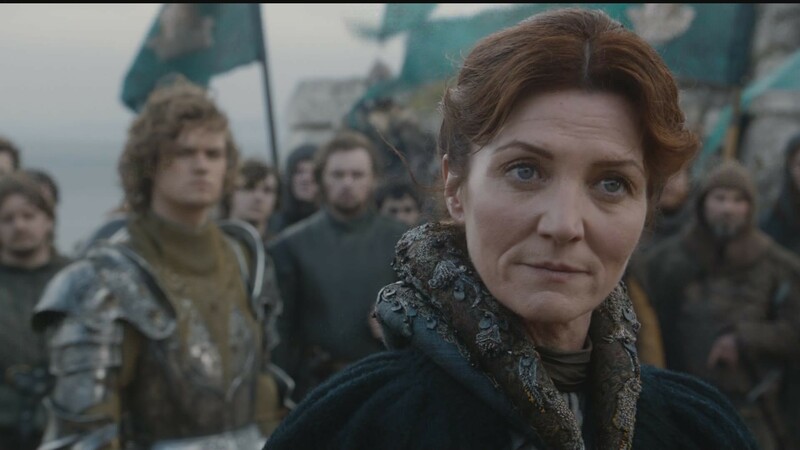 I admit I pronounced Arya “a ri ya.” Catelyn– I pronounced like the show. It never occurred to me that it could be “kate-lynn” but now I can see it. This whole post was hilarious. Thanks for sharing. I am so glad you enjoyed it! To be clear, in “a ri ya” is the “ri” part pronounced “ree” or “rye”? I’m not going to make fun of you either way. Probably not going to. Again, thank you for the feedback, I appreciate it. I pronounced it “ree.” 🙂 I always assume everyone reads everything as if it’s romanji, lol. Hey dad! I’ll make it up to you. I pronounce most of them right in my head! Except I read Kate-lynn like you. Oh and Tie-Ree-On oops. I won’t be smug about the names, but I can see how the names can be pronounced differently. Look at Bostonians who leave every r out of a word and never notice that it is missing. They ride around in ca-s and walk in pa-ks. So if Arya is said in a funny way without the r, I would never have noticed. Thank you for dropping by, Lydia! Regional dialects are cool, even if it might be unintentional from the show. My cousin is Aryan 😛 It is not difficult to pronounce in here because we have a lot of words that are a mix of the alphabets. Sample this – Dristi, Sobhagya, Dharmik etc. My favorite names to look up pronunciations are Gaelic names, because they all sound musical, and the rules are different for English. Here’s two examples from the Cuchulain myths of Ulster. :O These are AWESOME. Who can guess the pronunciations? Scrap spell bee and keep this competition and it will be way more interesting 😀 I like what I see. I am scooting off to see more Gaelic names! Ahhh I’m so glad someone else is blogging about this. One of my eventually to be published drafts talks about this phenomenon, too! I pronounced it AR-ya like your “Are ya going to bed,” until I saw the show. Catelyn was Katelyn, and I’m shocked Bran garnered any argument. Sansa I went back and forth on. I initially said it SANN-suh where the first syllable rhymed with the Ann, but that could also be because I’m from PA, and our vowels can be terrible. I like SAHN-sa much better. I’m surprised there was so mention of Cersei though! Prior to the show, I said it like sir-SIGH not SIR-see same as Circe the character in Greek (?) mythology whom I believe antagonized Odysseus (forgive me if I’m mixing up my mythologies). I’ve also heard several pronunciations of Aerys and Danaerys (don’t get me started on the former as it sounds similar to a name in my favorite fandom and THAT’S a gigantic argument and a tangent we don’t deserve), but I say the latter as day-NAIR-us, but I’ve hear dan-AIR-ease, as well. Can’t think of anymore for the moment, but I shall surely continue my goal of reading all of your GoT posts! Thanks for the feedback and the breakdown of how you say the names. Since I had that in my head, I internally pronounced Cersei as Kur-see. I also pronounced Margaery with a hard G. And Gendry I pronounced as Jendry, but the show has it as a hard G. So weird. I admit, I pronounced Catelyn as Kate-lynn for the longest time. I also go back and forth between Sahn-sa and San-sa (although I usually prefer the former). I pronounced Brienne as Brianne for the longest time, too, until I realized that if it was pronounced like Brianne it would have been spelled that way. Now I pronounce it Bree-in. I loved this post! The title particularly is clever. My dad, who only watches the show, constantly mispronounces names and I have to correct him. He pronounces Cersei as Sare-say, and Daenerys as Duh-nare-ee-ez. It’s madness! Pronunciations from dads are always the best! I’m glad you enjoyed the post. It was one of my fun ones to write. When it comes to pronunciation, book to show they can do what they want. It becomes the canon pronunciation. My problem is when you take a TV show and make a movie, and change the pronunciation. That should not stand. And that’s exactly what happened with the show Avatar: The Last Airbender, and the movie by M. Night Shyamalan. My theory? He never watched the show, only read some episode scripts. So we got his “book pronunciation,” only for a TV show adaptation. It bugged Holly and I literally the entire movie, and took us out of the experience. Meaning I don’t even remember it well enough to dislike it! As an adaptation (other than the pronunciation) I don’t think it was super awful bad. I think it was an okay attempt, but after seeing the series, I just don’t think we ever need to see a live-action version, because the animated version, and let me apologize for my rare profanity, was [EXPLETIVE] GREAT! Like, the best thing ever. If I want to see a live-action spectacle, then I’d want a three hour movie just on the siege of Ba Sing Se. I’d be okay with that, maybe. We have been watching The Legend of Korra lately (the 4th season arrived yesterday) and it’s brought back all of the Avatar love. So good. Airbendy Avatar. Not the blue people. If you haven’t seen Korra, it’s a nice way to see that world continue, although the stakes are much higher and it feels much more “grown up” than the first show. Which is both good and bad. You’re in for a treat! There’s crazy cool stuff ahead with Korra. Oh, but if you’re on the fourth season, you already know. Yeah we just need time, now, to watch season 4! And can I just say that I love J.K. Simmons. Before it was cool. J Jonah Jameson and Juno’s dad! The psychologist on Law and Order and the voice of the CEO in Portal 2! The boss on The Closer! And what you said! And then of course Tenzin! Yeah, there’s a lot of similarity between those two weasels!